The Hoover FloorMate line is a combination wet/dry floor-cleaning system that combines the features of a regular vacuum cleaner and a dual-tank mop function that dampens hard surfaces, then scrubs and dries the floor. 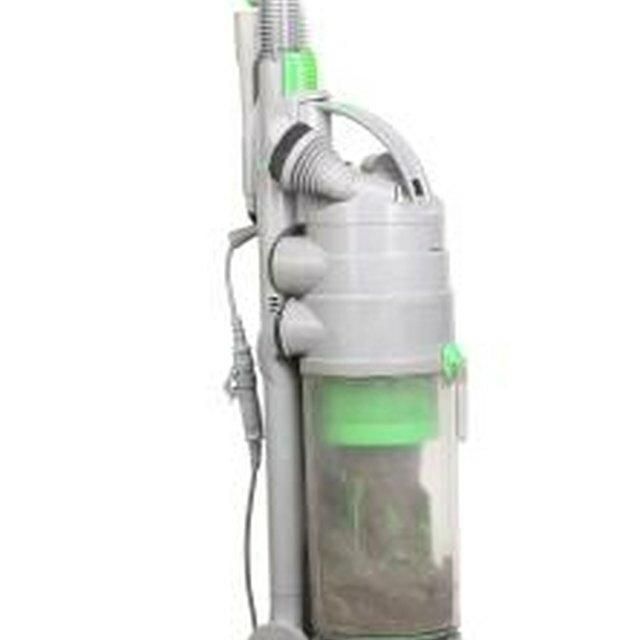 The vacuum cleaner function does not require vacuum bags; it shares a removable receptacle with the wet function that can be emptied with ease. From time to time, the FloorMate may experience diminished or total loss of suction. As long as the motor is functioning, it's generally easy to restore suction in a few minutes. Check that the debris receptacle is firmly locked into place. If it is not placed correctly, the motor may run but the suction function will be disabled. Lock the receptacle securely and the suction should be restored. Also, make sure the unit is not set to "Wash" This setting simply spins brushes and has no suction involved. The FloorMate must be set to "Dry Vac" or "Wet Pickup" for the suction to be engaged. Ensure that the receptacle is not filled with debris. Once it reaches capacity, suction will be disengaged. If it is full, simply empty the tank and the suction will resume. Turn the unit on its side and check the brushes surrounding the uptake pipe. These brushes may become clogged with debris such as pet hair and in turn clog the uptake pipe, cutting off suction. Remove the obstruction and the FloorMate should work again. Clean your filter. Filters should be rinsed, dried and replaced regularly. Turn off and unplug the vacuum cleaner, remove the recovery tank, remove the top and pull out the filter. Gently shake off debris into a trash can, then rinse gently with cool water. Allow to dry completely before replacing. Snap firmly into place once dry and place the recovery tank into the vacuum cleaner. Clean the screen under the filter. Under the pleated filter is a circular screen. Remove and rinse it, allow it to dry, then put it back into place, replace the filter and snap the tank back into place. Espares: Vacuum Cleaners — Has Your Vacuum Run Out of Puff? Pete Hisey has been a writer and editor for over 25 years, primarily in the business-to-business field. He has expertise in many areas, including retail, consumer electronics, banking, dining, agriculture and entertainment media. What Is Wrong With My Dirt Devil Dynamite Vacuum Because It Doesn't Pick Up Anything?